In the early 2000s, after many successful years of operation, a new owner closed Peacham’s Bayley-Hazen country store. The community not only lost a place to buy basic food and supplies, but also a critical gathering spot for friends and neighbors. Fast-forward to 2018, and you’ll find a different kind of gathering place in town: the Peacham Café, a brightly colored, welcoming space in the center of the village that offers something for everyone. The 13-year journey was a long one, and not without its challenges. It started when members of the community gathered together and made a commitment to create a café in town. They officially got organized under the umbrella of the existing nonprofit, Peacham Community Housing. 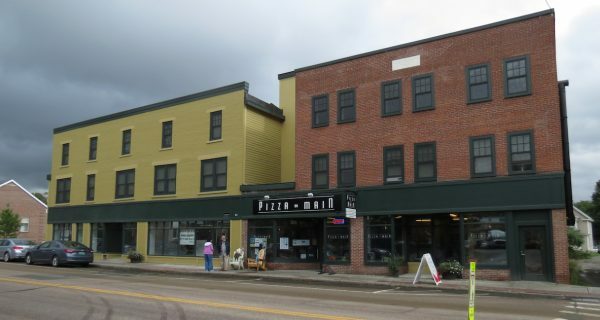 Then they located a town-owned historic building in the center of the village, and after a Town Meeting Day vote, were able to purchase the building for $1. With the support of statewide foundations, the group was able to do a structural analysis and develop architectural designs. In 2011, Peacham Community Housing created the Peacham Café LLC to raise funds to restore the 20- by 40-foot building, outfit it for a café/store, and find an operator. 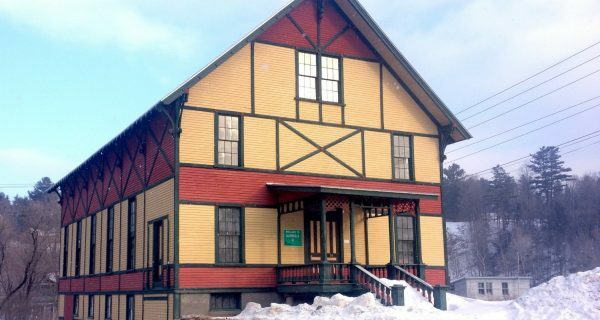 The LLC hired a crew from the St. Johnsbury Detention Center to demolish and renovate the interior using original materials where possible, and restore the exterior to its early 20th century storefront design. The crew helped install radiant heating and built a kitchen, bathroom, and dining area on the main floor, plus a mezzanine for additional seating. LLC members and other residents teamed up to bring unique talents to the project. With engineers, they surmounted a huge challenge – finding a location for a mound wastewater system, and working with local landowners to get easements for its installation. With the generous support of local and statewide benefactors, the LLC also successfully raised $120,000 in their town of barely 700 people. The doors opened in 2014 and in 2016, Crystal Lapierre began operating the café. Working with her sister Shannon Pelletier, they have transformed the café into a restaurant that is open six days a week, provides breakfast and lunch, bakery products, prepared foods, limited grocery items, and occasional dinners. Pleasant outdoor seating on the front porch and patio and an a mezzanine art gallery adds to the overall experience. In addition to the usual café fare, the Peacham Café is a vital meeting place for residents and a critical element in town cultural events, hosting musical programs, art classes, committee meetings, and reading, language and other social groups. 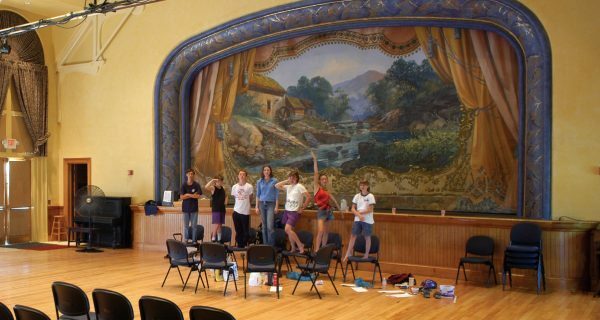 The friendly, bustling atmosphere of the Peacham Café testifies to the role that a gathering place can play in a rural Vermont town, and the value of broad community support for making such a place happen. While for some smaller communities, having a full-blown general store may not be financially feasible anymore, the Peacham café is a 21st century reinvention that provides the same sort of community benefit. It truly is much more than just a café. Preservation Award to the Peacham Café LLC, initial operators Ariel Zevon and Crystal Zevon, and current operators Crystal Lapierrre and Shannon Pelletier for rehabilitation of the Peacham Café. A commercial block in downtown Morrisville is transformed for the 21st century.